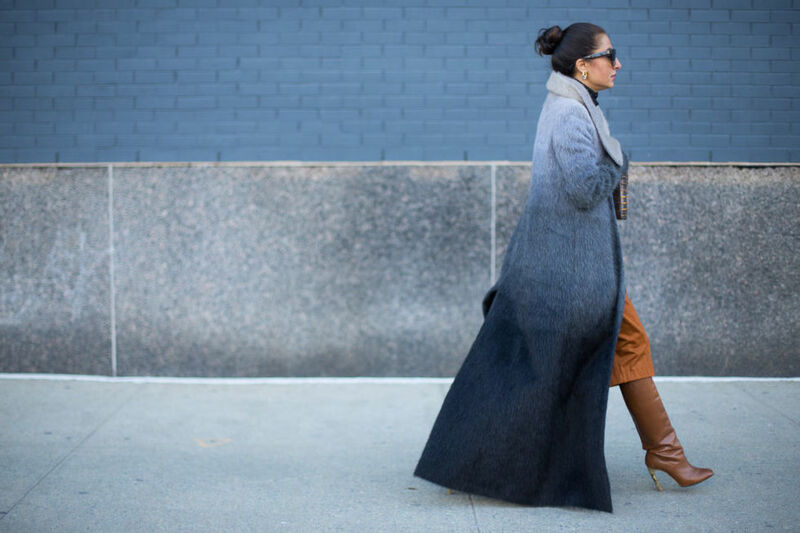 It's finally that special time of the year every fashion lover has been waiting for - it's time for NYFW! NYFW has officially started the fashion week season for the A/W 16-17 collections on the 11th of February, which will later continue in London, Milan and finished in Paris on the 9th March. With the fashion week season comes a series of trends that every fashionista will rock on her way to the show. I absolutely love catching a glimpse of all the powerful fashion influencers, who style all the latest fall and winter trends in the chicest way possible. So just before the last day of the New York Fashion Week I decided to share with you some of the trends that Everyone will be wearing at the upcoming FWs. These are some looks you can easily incorporate into your everyday style and use as an inspiration to look your best last few weeks of winter before the season's change. 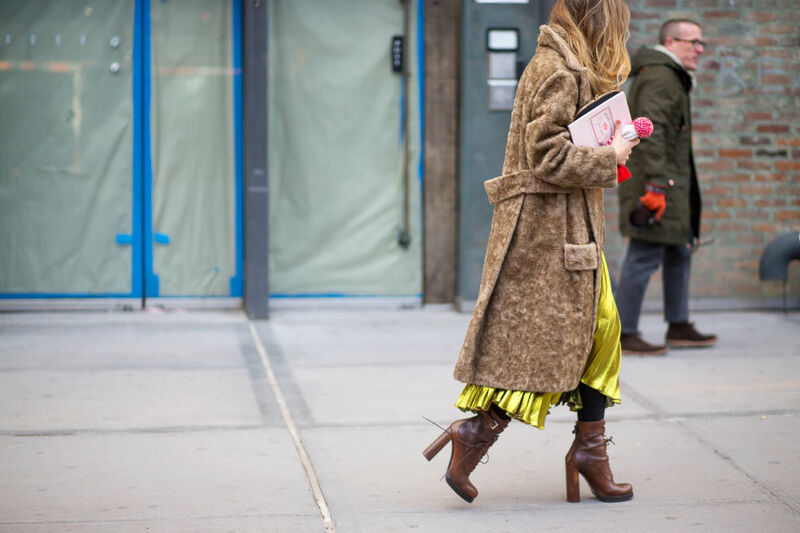 Here are some of the best and chicest girls who rocked the New York Fashion Week Street Style captured by the amazing Diego Zuko. February and winter in general it's all about the outerwear, because the weather is sooo cold (which sometimes does not stops us at all, as long as we look chic in an outfit). From bomber jackets, parkas, sheepskin jackets, faux fur coats, etc. The choices are endless, so picking the right outerwear is crucial for the whole outfit! This time around it's definitely all about the statement coats: printed, textured or oversized: all huge hits in the past few months. As I've mentioned in my previous point, weather doesn't really stop our choices regarding the perfect outfit. We don't really care about the cold that much when we want to look stylish. I've spotted a lot or minimalist slip dresses, very '90s inspired, paired with over-the-knee bots or pants, floral and striped dresses, knitted co-ords and of course we must not forget the '70s inspired outfits, with yellow, brown and beige accentuations. Kristina Bazan rocked a gorgeous outfit, coordinated in neutral tones from head-to-toe, which received a lot of praise as one of the best one this fashion week season. All the fashionistas know that every great outfit needs a statement piece, a focal point which we can be complemented with both layering and accessories. This season's spotted street style trends were dungarees, flared and ripped jeans, statement shoes and printed sweaters. 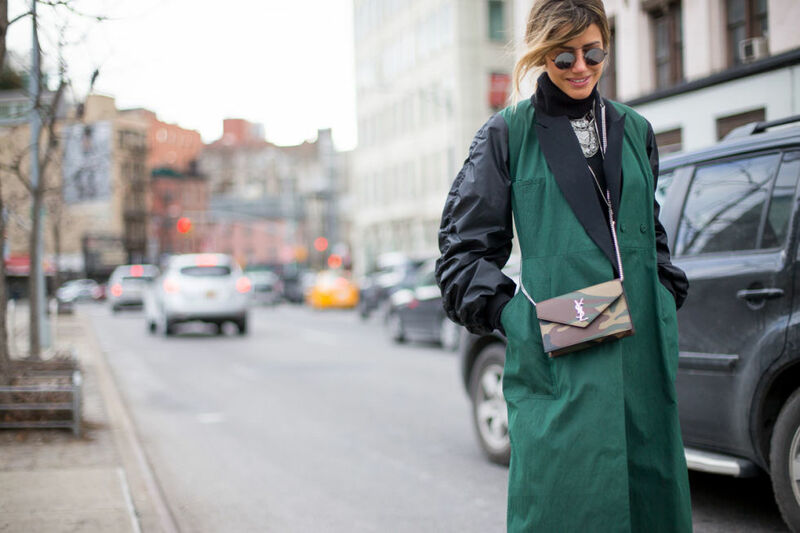 In the past few years small bags have made quite a comeback and now the rules to follow are: the smaller the better. Best bags to choose are rucksacks, clutches and small shoulder bags/wallets on chains, which were very popular last season. Accessories still remain very minimal, the adored choker is the only jewellery that should adorn your neck or a faux fur scarf, wearing on a side - complementing one of your shoulders. Another must-have accessory is a beret, which has substituted every blogger's favourite hat (including me in the mix) - fedora! Of course we must not forget the statement sunglasses, which is a must of every FW outfit! Boots are always the way to go in February because they are high enough to avoid the snow, they keep you warm and, when paired in the right way, show off your amazing legs. You can choose both ankle or thigh high boos. 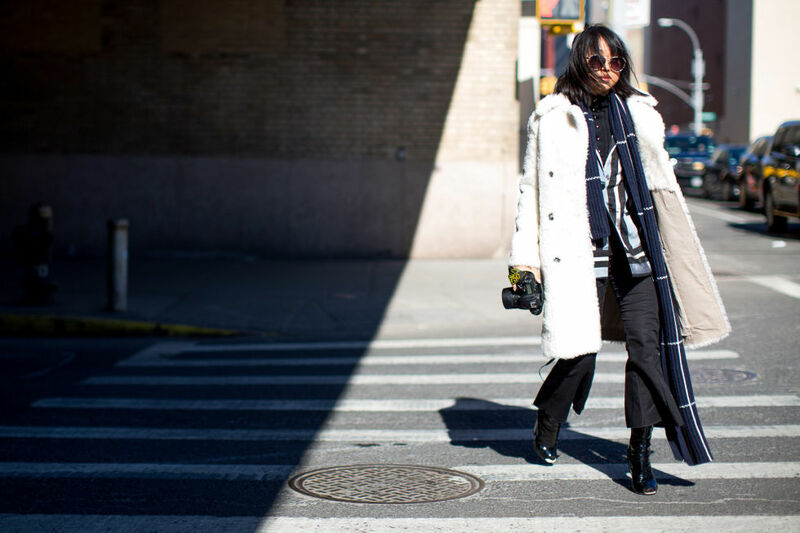 Streets of New York these days were covered with some amazing designs from Celine, Dior or Fendi. And if the boots don't go along with the rest of the outfit, fashionistas opted for chunky, geometric heels, classic pumps or latex shoes. As for some of the runway trends from the NYFW for A/W 16-17: there was again a lot of all black outfits, in contrast to the so-called winter whites, knitted co-ords (Victoria Beckham), super-sized sleeves (continuing the '70s trend), polo necks - this time around with the added zippers for a more sportswear inspiration, which you can easily elevate to stylish city wear, lot of print clash, especially with the graphic tights, which will, according to the designers and fashion magazines, become a statement piece, focal point of the outfit. What are some of your favourite outfit and trends from the NYFW? Let me know in the comments below! Me encanta el primer abrigo!